Call Us 250.590.5840 Book Now Book Now Online! 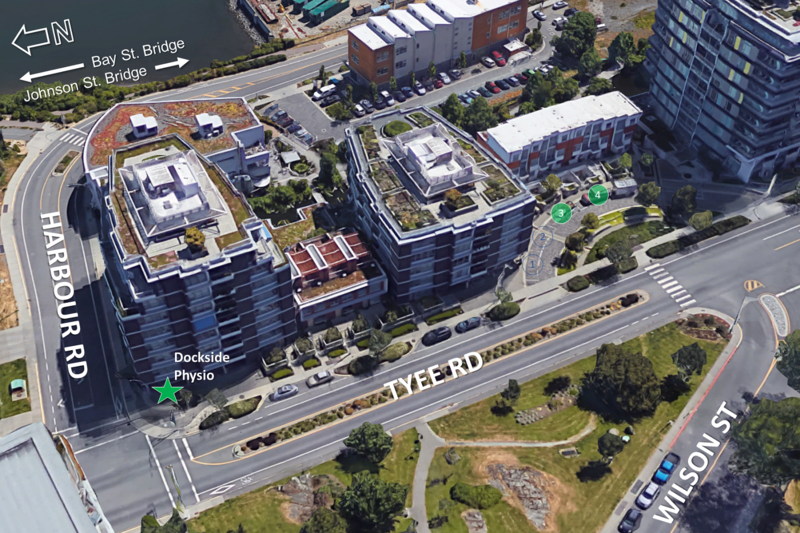 You’ll find us in the beautiful new development of Dockside Green in Vic West. See below for more information about our clinic space, how to find us, and where to park. 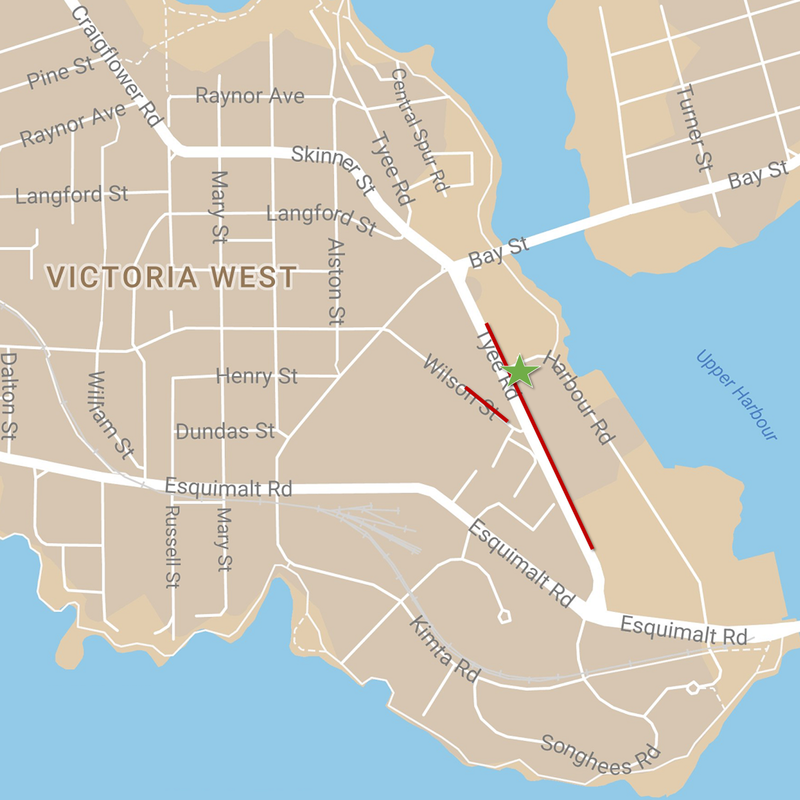 We’re located on street level at the corner of Tyee and Harbour Road (399 Tyee Rd, Unit 103) across from Westside Village. We have two reserved spots located at 389 Tyee Rd. Enter the semi-circle at the south end and we are the third and fourth stalls.